This round table and chair set blends traditional and cottage design elements, making it a charming addition to any dining space. The two-tone table includes a drop-in leaf to accommodate more people when needed, and the ladder-back side chairs offer a stylish and comfortable place to dine. 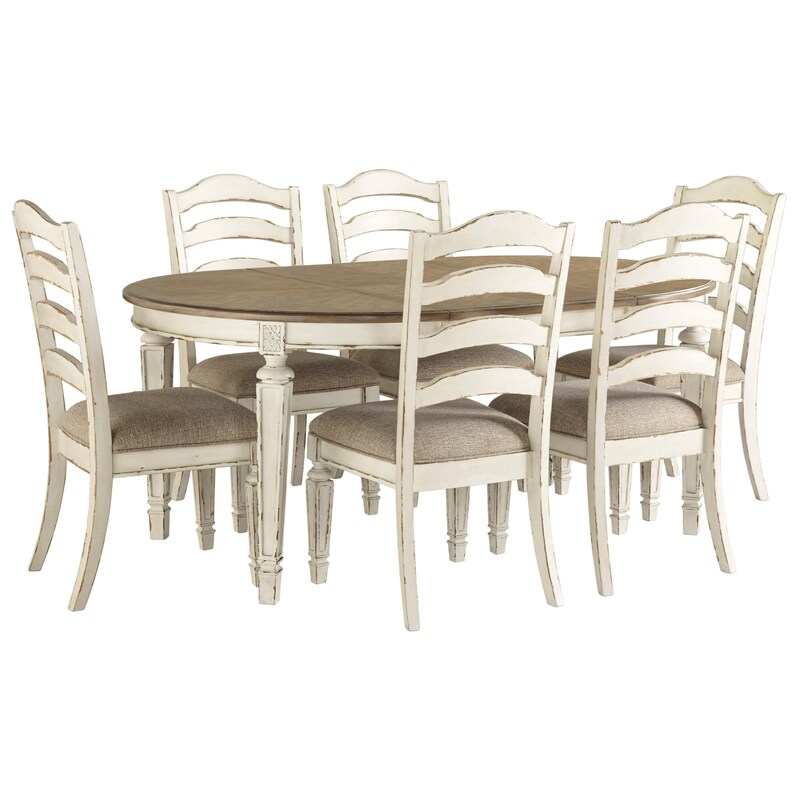 The Realyn 7 Piece Round Table and Chair Set by Signature Design by Ashley at Miskelly Furniture in the Jackson, Pearl, Madison, Ridgeland, Flowood Mississippi area. Product availability may vary. Contact us for the most current availability on this product.